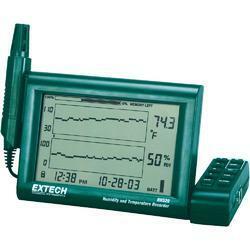 Leading Manufacturer of whirling psychrometer, digital thermo hygro indicator, digital thermo hygro logger and fischer haar hygrometer from New Delhi. 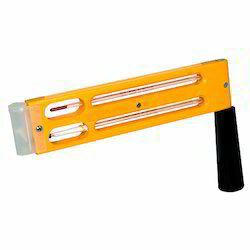 Aiming to please our customers, we present our honorable customers with a quality tested array of Whirling Psychrometer. In tune with the industry set norms and quality guidelines, our offered products are designed using high quality and stringently examined raw material. In addition to this, their accurate results and optimum functionality makes these products a favorable choice of our customers. 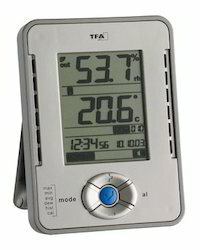 By utilizing the skills of our knowledgeable employees, we manufacture, trade and supply a comprehensive collection of Digital Thermo Hygro Indicator. Known for exhibiting international quality norms and standards, these products are immensely favored by our customers over their counterparts present in the industry. Moreover we offer them in customized packaging solutions as per clients’ needs and choices. Amid the endorsement of our dexterous and highly skilled personnel, we are involved in presenting a quality rich range of Digital Thermo Hygro Logger to our valued customers. Without degrading the eminence and quality of these loggers, we provide them to our customers in various specifications to choose from. Owing to their longer working life and enhanced durability, we provide them to our customers at rock bottom prices. 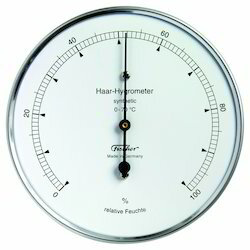 As an esteemed organization of the industry, we have come up with a precisely-engineered collection of Fischer Haar Hygrometer. Appreciated and acclaimed by our customers for its resistance against rust and seamless functionality, we provide these products in various sizes and models to choose from. Apart from this, each and every products of this range is checked on strict factors of quality and durability before final dispatch.